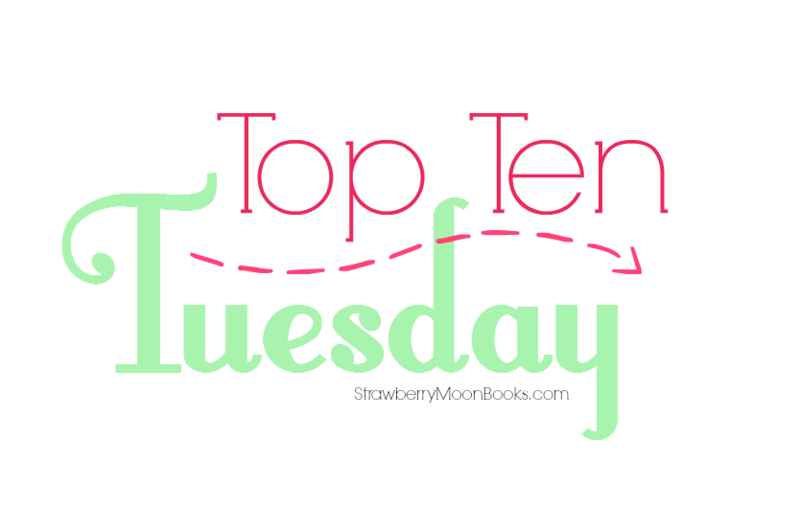 Hello fellow Top Ten Tuesday-ers! Thanks as always to The Broke and Bookish for hosting all us book nerds. This week’s topic is: My Fall TBR List. Before I get into my list, I just want to thank Strawberry Moon’s readers and Etsy customers for their patience. My home, (including my vintage book inventory and everything else I owned), was lost in the disastrous Valley Fire in Northern California last week. I plan on restocking the shop ASAP, however, and Strawberry Moon will return. My Goodreads TBR has been a sad state of affairs for about three years, (ever since I transferred from junior college to university.) The same 20 or so books have been sitting there, languishing. So instead of just listing those off, I’m stirring up some fresh blood and some new classics. Quite a few of these are somewhat seasonal: witches, fairytale retellings and a dash of spooky. Others are just books I’ve been dying to read for what seems like ever. The last two are just because I’ve been so terribly lazy. I owned the first Outlander book for at least four or five years before I finally read it. So much shame. I’m currently reading the second Outlander book and I’ve read up through the eighth Lady Emily book. I think there’s at least four more out already! So this is really more like… a top twenty? Apparently I’m going to be a very busy reader this fall. At least in theory. Any other suggestions on what I’ve missed in the book world while at university? Oooh. The Counterfeit Heiress is one I’ve been thinking about looking into myself. I love TBR lists – so full of promise and potential! Yeah I’m excited about that one! Have you read any of the other Lady Emily books? These all sound great! I’ve only read the Neil Gaiman one though (which was excellent). I definitely need to get more spooky books for this Halloween! This time of year I’m all about the witchy shows and binging on Buffy reruns haha. Definitely excited about finally reading some more Gaiman – I’ve only ever read Neverwhere if you can believe that. Oh I love Neverwhere! I’m currently binge watching Buffy too! It never gets old. Buffy is the best! I’ll watch pretty much any fantasy show but Buffy is by far my fave. I also wanted to read The Outlander books but haven’t gotten around to them yet, and not sure when I will. I loved Cinder, so I hope you get to it soon. I feel you abput not completing TBR lists – I stopped keeping – or checking – the lists on Goodreads, and instead just pick books at the time I feel like reading. The Outlander books are definitely a big undertaking and heavy reading but I find them very hard to put down. Intense but thought-provoking, for sure! They’re a good curl-up-by-the-fireplace kind of book – somewhere you can be glad of 21st century everything haha. I’m so sorry to hear about your loss. How horrible! There were several fires burning near my parents’ home in Washington and seeing all the destruction made me heartsick. Your positive outlook on such tragedy is inspiring. As for books, I enjoyed THE BOOK OF SPECULATION, CINDER (and the rest of the series) and OUTLANDER (although I never moved on with the series for some reason). Your other books sound good as well. I’m really looking forward to Book of Speculation! I only heard about it recently but it sounds like just my cup of tea. There are so many books on this list that I’ve never seen but now I want. I have Dragonfly in Amber to read as well… I own the whole series and I still haven’t picked them back up. Ooh, I want to read the Lunar Chronicles! I really like the sound of The Book of Speculation!